Have You tried Ombre Hair? 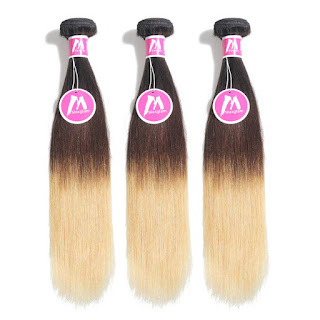 As I continue to learn about beautifying hair or we called fashion trend, I will also share with you about ombre hair. 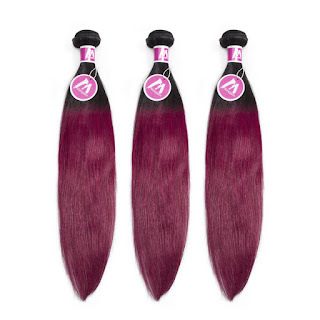 Let's all see what is ombre? Having red hair seems like you have a strong personality that you would like to know the people around you. It makes someone confident and true to themselves. While having grey hair, it is associated with the old age. It said to be a color of maturity and responsibility. 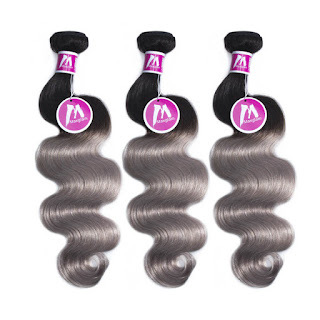 In this new generation, any color you have and you would want to put in your hair is a fashion which you would love to give it a try. There's no harm in trying. As long as you can carry yourself and that what makes you happy, go for it. This shade is dark brown to blonde and you can do any hairstyles. It is 100% human hair too. Very chic and popular. You won't be out of trends with this ombre straight Brazilian hair. Just add to cart, pay in your PayPal, Western Union, Money Gram, or Bank Transfer is also acceptable. You will get free shipping over $99 of your order. Order anything you want and do any hairstyles.